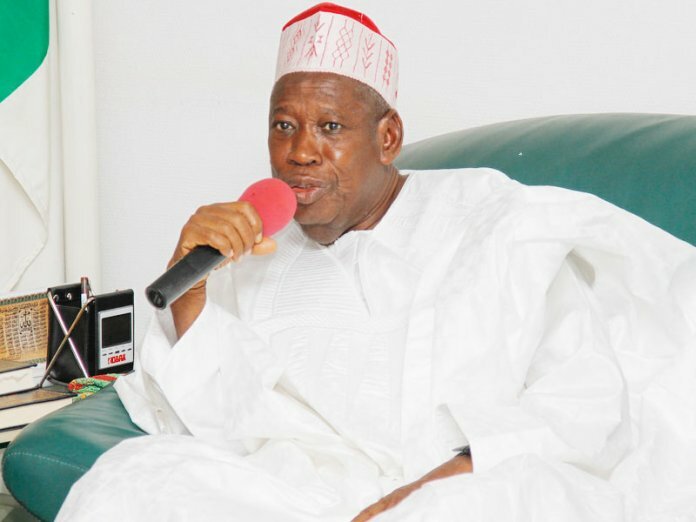 Kano State Governor, Abdullahi Umar Ganduje yesterday challenged the former Governor of the state, Rabi’u Musa Kwankwaso, to display his engineering certificate. The governor also alleged that “this is somebody who failed his Common Entrance examination during his primary school days. According to the governor, Kwankwaso’s failure in managing education during his tenure stemmed from of his (Kwankwaso) inability to comprehend that education policies need plans. “We are doing this simply because he is too proud of himself to be self-acclaimed wise man. But which wise approach does he have when his education is shallow and remains shallow at the same time?” Ganduje asked. He added: “When Kwankwaso was sending students abroad, he didn’t bother to do an excellent planning for it,” blaming that on Kwankwaso’s inability to differentiate between good work and un-arranged behaviour in the education sector. “Most states from Nigeria that sent their students to study then withdrew them because of how the rate of dollar skyrocketed then. But in our own case, I said we would not withdraw a single student, instead, we continued paying with tears. As at now, many of them have graduated,” the governor disclosed.